This vacant South Campus lot is one possible location for the new Illinois State University student housing project. ISU hopes to have it ready by fall 2021. For years, Illinois State University has been knocking down old dorms and nudging its sophomores, juniors, and seniors into off-campus apartments. Developers and landlords looking to make a buck responded by building more and more apartment buildings, luring students with fancy amenities and names like The Lodge and The Summit. But all that could soon be flipped upside down. ISU is pivoting back into on-campus housing. The university is looking to partner with a developer for a public-private partnership that would add up to 1,200 beds—a 20 percent increase in on-campus housing. Tuesday is the deadline for developer proposals, and ISU wants to have its new housing project built in time for the fall 2021 semester. This change in direction would disrupt the off-campus student housing market. Landlords say vacancies will rise as more students stay on campus, cutting into their revenue and increasing the likelihood for dilapidation and even foreclosures. Some say they were surprised by ISU’s abrupt shift in housing philosophy and want more information. “I wish we knew more about it. It’s been very under the radar, kind of a secretive thing,” said Ed Sauder, an owner of The Summit, the $4 million-plus student apartment building that opened in 2018. Sauder has owned apartments locally since attending ISU in the 1970s. The off-campus student housing business has changed drastically in the last decade, when ISU closed (and later demolished) two giant dorms and pushed 1,500 students into the private sector. Townwide Normal has seen 64 new apartment buildings with over 1,240 units built over the last decade, many for the ISU market, according to Town of Normal records. Twenty years ago, 40 percent of undergraduate ISU students lived on campus. Now it’s 31 percent. 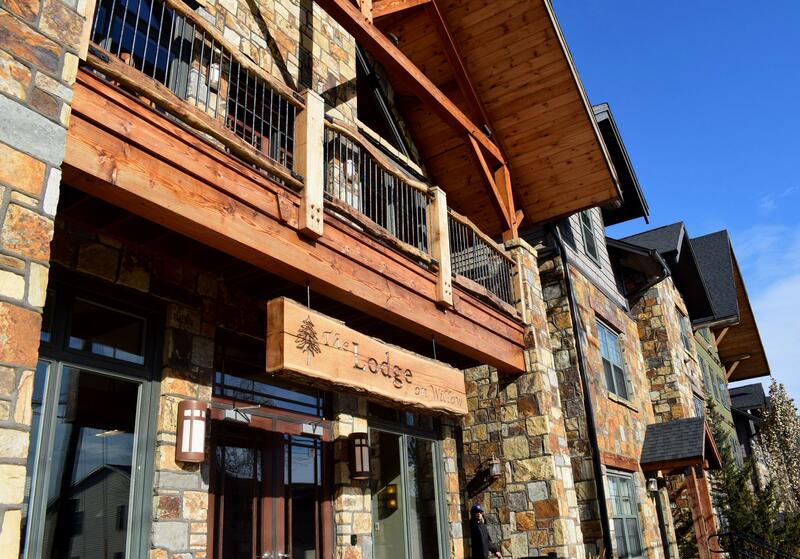 An expansion of The Lodge opened in fall 2018, one of several recent high-profile openings in the off-campus apartment market. Landlords say the apartment market is already saturated, especially after the fall 2018 openings of The Summit (25 units with 84 beds), Stadium Suites (24 units with 84 beds) near Hancock Stadium, and a major expansion of The Lodge (added 263 beds) on Willow Street. “We’re overbuilt right now. There’s lots of vacancies,” said Tom O’Rourke, owner of Redbird Property Management, which manages 310 student apartment units. There are many reasons for ISU’s shift in housing strategy, informed in part by a 2018 study from consultant Brailsford & Dunlavey. It found ISU lacks enough on-campus housing for sophomores. Johnson said ISU has no plans to drastically grow total enrollment beyond the 20,000 to 21,000 range where it is now. As the supply-and-demand equation changes, what's ISU message to off-campus apartment owners? The off-campus housing market now has an occupancy rate of around 90 percent, said Sauder. If ISU adds 1,200 beds, Sauder said that could fall to around 80 percent. “If you take a young couple that’s bought a four-unit building, and they manage it themselves, and they’re right on the budget, if they lose 10 percent of their gross income, and their taxes stay the same, everything else stays the same, that’ll hurt those types of people,” Sauder said. On the surface, the off-campus housing market is dominated by big management companies like Young America, SAMI, and First Site. But those companies are often just managing buildings for an owner—investors like Sauder who may or may not be able to absorb that revenue loss. The overbuilt market is already causing issues. Redbird Property Management has been converting some four-bedroom apartments into two-bedroom units or renting them to just three students, looking to attract tenants, said O’Rourke. More vacancies will drive down rent, he said. “We’ve been in business 40 years. We’ve never had a vacancy. And I’m worried about having vacancies next year,” O’Rourke said. Another stakeholder hoping to soon learn more about ISU’s plans is the Town of Normal. Up to now, the Town of Normal hasn’t been involved at all in the planning stages or the issuing of ISU’s request for proposals (RFP) to developers, said City Manager Pam Reece. 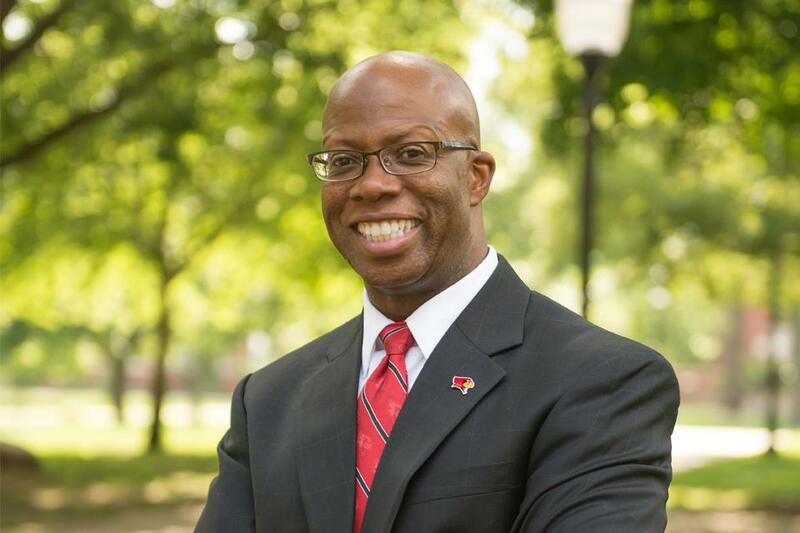 ISU Vice President for Student Affairs Levester Johnson. Normal also has a financial stake in the off-campus market; those giant apartment buildings are some of the biggest property taxpayers, funding schools and local government operations. For consumers, disruption isn’t always bad. Look no further than ride-sharing apps like Uber and Lyft, or short-term rental platforms like Airbnb. They’ve made traveling way easier, even if they’ve caused pain for taxicab companies and hotels. The consumers in this case are ISU students like Angel Zamudio, a junior who’s majoring in history and political science. He’s an off-campus senator for the Student Government Association (SGA). Zamudio is critical of what he sees as predatory practices among local landlords, specifically in creating a false sense of urgency among students to sign leases prematurely. But he’s not sold on the new ISU on-campus housing project either. Neither is Khayla Breland, a senior political science major and also an off-campus senator with SGA. ISU students are required to live on campus their first two years, but many sophomores now get an exemption. That’s what Breland did. And even if ISU had offered an on-campus “sophomore village” when she was making her decision, Breland said she still would’ve moved off campus. Cardinal Court, the ISU student apartments that opened in 2012, is an option for older students. But it’s expensive. Cardinal Court is priced above the market average, ISU’s study found. "They kind of use students like piggybanks. They can milk us out for as much as they want." All these dynamics are being considered by potential developers who are required to submit their proposals to ISU by Tuesday. That market-evaluation process is key, said Jamie Wilhelm, executive vice president for public-private partnerships with American Campus Communities. The Texas-based company is the largest owner, manager, and developer of student housing communities in the U.S.
“We want to make sure that when we build in a market, or acquire in a market, or partner with a university in a market, we have a very deep pool of student residents who can afford to live with us,” Wilhelm said. The ISU project will be a public-private partnership, like the one that built Cardinal Court. (American Campus Communities was involved in that project.) After a set amount of time, ISU would own the new housing development. The total cost of the project is not yet known. ISU’s 2018 housing study pegged the cost as between $55 million and $68 million for 600 to 800 beds, though that’s likely to change with any developer’s specific proposal. Public-private partnerships, or P3s, are increasingly common for these types of projects, Wilhelm said. Ten or 15 years ago, they were viewed as a way to get external funding for a project, he said. “In today’s environment, funding is still a relevant factor. But we’re finding that universities are being even more strategic about why they would engage in a P3, and it’s about how they manage risk,” he said. “Many institutions are looking at public-private partnerships because they struggle to maintain sufficient reserves to re-invest in their existing infrastructure, housing specifically. So by utilizing a private sector partner, you have the ability to risk-transfer that responsibility to the private sector, so as your assets age, they’re consistently re-invested in." There are only a “handful” of national and regional companies that are large enough to compete for these larger 1,200-bed projects, Wilhelm said. Finalist proposals and presentations will be due in a few weeks, with site visits to follow in the spring, according to the RFP. Landlords like Tom O’Rourke and Ed Sauder praised ISU leadership for maintaining strong enrollments even as other public universities have struggled. But Sauder said real estate is a tough business—for him, and for the university. Illinois State University is looking for a development partner on a major student housing project that would add up to 1,200 on-campus beds.